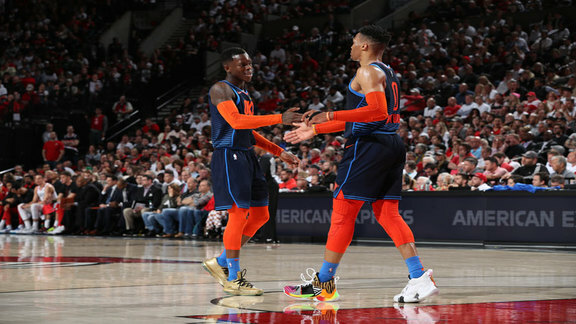 OKLAHOMA CITY, Oct. 12, 2018 – The Oklahoma City Thunder has waived guard Abdul Gaddy, forward Donte Grantham, guard Scotty Hopson, and forward Dez Wells, it was announced today by Executive Vice President and General Manager Sam Presti. Gaddy saw action in four preseason games and averaged 1.0 point, 1.8 assists and 1.3 rebounds in 6.6 minutes per game. Grantham, Hopson and Wells were originally signed on Oct. 10.